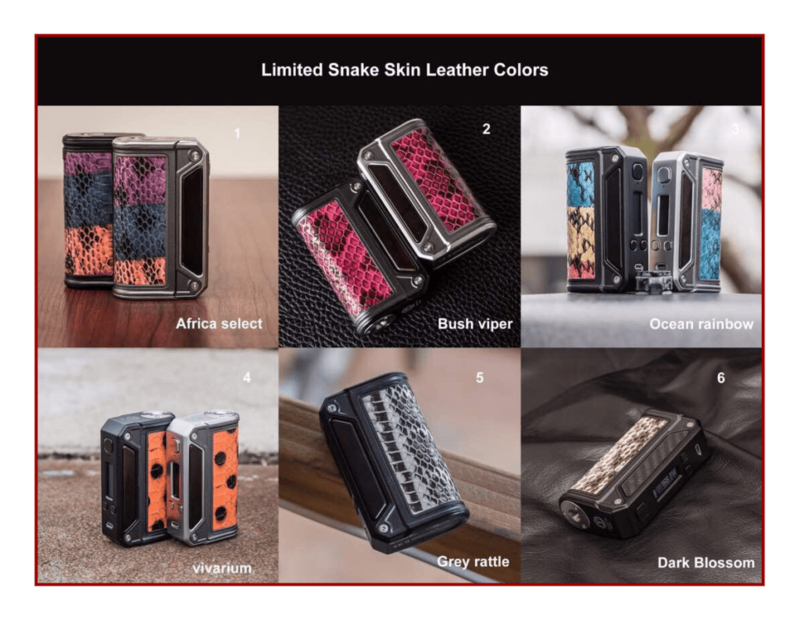 Lost Vape Therion – Want to own one of the most beautiful box mods ever made? Next month you’ll have that chance when Lost Vape releases a Limited Edition “Lost Vape Therion DNA75” with a color OLED display and unique, multi-color, multi-finish, mods the likes of which we’ve never seen before. The Lost Vape Therion DNA75 Color is coming soon. The Therion DNA75C will only be available as a limited edition run. Our friends at Origin Vape will have plenty in stock, for a short time anyway, and we recommend that if you’re inclined to add this spectacular looking mod to your collection you might want to head over and pick the one you want ASAP. We don’t expect them to last long. Though, we do have one arriving soon and will bring you the full in-depth review just as soon as we can. The Lost Vape Therion DNA75C Color Screen has been refined and massaged into one truly spectacular device. Despite the moderate wattage output of 75W, this new DNA75 will not only satisfy most Vapers in the Wattage and TC departments, but it will also drag the Aesthetics of Vaping forward in a big way. 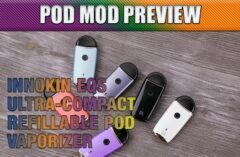 The mod is said to be a cutting-edge “work of art”, with Lost Vape using several supple leathers and fine wood detail on the outside chassis, plus being powered by Evolv’s newest board. The Lost Vape Therion Color operates on the same two 18650 cells structure that the previous Therion ran on. It can be charged via the mini-USB port or, as we always recommend, an external battery charger. Using two hi-amp cells to reach the 75W maximum output, and pushing forth its temperature control features with TCR abilities, is the hallmark of the Therion mod. The Evolv DNA75 chipset is the newest circuit board by the company that has earned the respect and gratitude of the vape community. The Lost Vape Therion and the Escribe software is the best combination for customizing the user experience. If you own multiple DNA mods, the Escribe software can be used to manage and customize all them. The biggest, coolest, new feature to the Evolv board is the screen enhancements for better clarity. Using a whiter LED to light up the display, there are three lines of customizable information, with the bottom line showing the user the wire type of the heating element. While the last version of the board displayed the voltage. 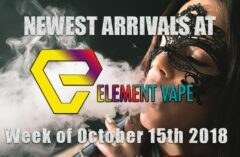 Recognizing the heating element material is going to be a major leap forward for the vape community. For me, it is one of, if not the, determining factor of continuing to support the DNA chipset. I’ve enjoyed Lost Vape mods for quite some time now, and this new Limited Edition Therion has me counting down the days. Origin Vape will be selling the new Lost Vape Therion DNA75 Color for $149.99. You can certainly buy Evolv DNA mods for less, and with higher wattage, but from what I understand, this limited edition is going to be well worth the price, in performance and beauty. I have a strong feeling that Julia will want to pick one up for her “Aesthetics in Vaping” column. Enjoy the photos in this Preview, and head over to Origin Vape PRE-ORDER your own piece of Vaping Excellence.